Not much is known about the buyer, other than she is called Yingying and is from Taiwan. Oh and she’s obviously incredibly wealthy and a big fan of Koi fish. 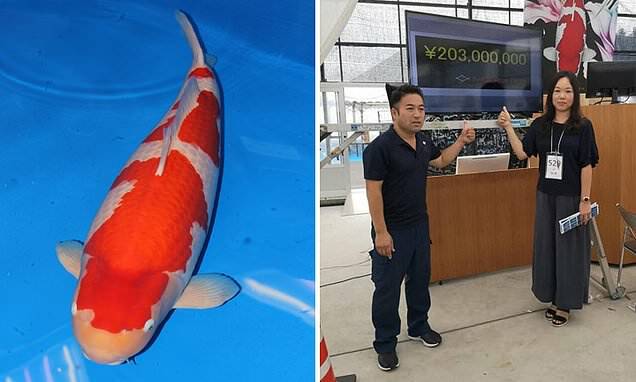 Ms. Yingying will now be able to breed the award-winning fish, which can produce up to 500,000 eggs, of which only up to 5,000 will be of the right quality to sell. S Legend is also expected to compete in shows for at least another two years. Koi carp come in over a dozen varieties, of which Kohaku is by far the most popular and most valuable. It is said that koi breeders may experiment with rearing other varieties but in the end everyone always comes back to Kohaku. This variety is a white-skinned with large red markings on the top. 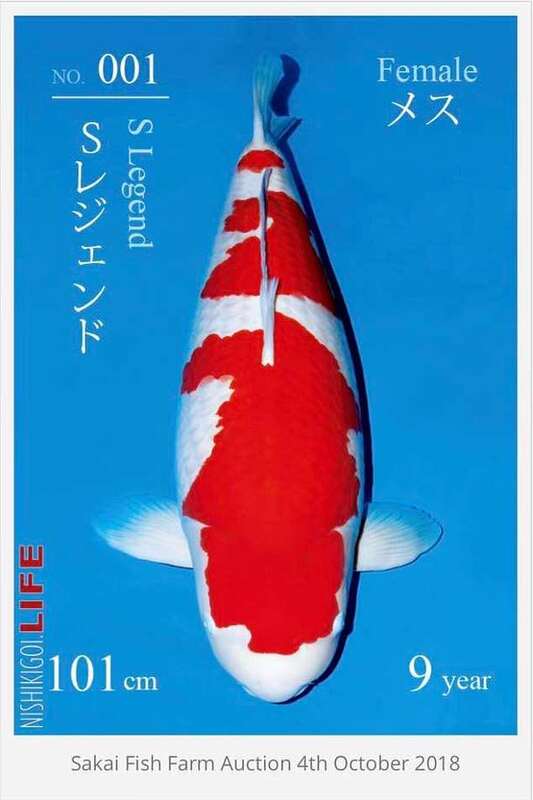 To be considered perfect, the white of a Kohaku Koi must be free of any discolouration or yellowing. Japan remains the world’s largest producer of Koi carp, with 90% of production aimed export. In 2016, Koi carp exports generated over $35 million in revenue. Interestingly, Japan also holds the world record for most expensive dead fish ever sold, a 222-kilogram bluefin tuna auctioned off for 155 million yen ($1.4 million).